I understand small pets are welcome at Jellystone Park. Do you have any kind of kennel facilities? Is there a local kennel where people can leave their pets for the day? Do you know if Canadas Wonderland has a kennel facility? If we decide to stay longer at Jellystone Park, what are the chances of extending our stay after we arrive? What are the arrival check-in and check-out times? How far is Yogi Bear's Jellystone Park & Camp-Resort from Toronto? Is there commuter bus/train service to Toronto? What is your policy regarding alcohol? What dates are available for camping this season? Do the sites at Yogi Bear's Jellystone Park & Camp-Resort have shade? 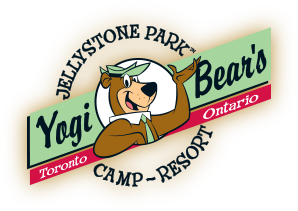 On the map, Yogi Bear's Jellystone Park & Camp-Resort appears to be located close to Highway 400. Does highway traffic noise pose any problem? How far is Jellystone Park from Canada's Wonderland? Does your staff speak any French? Does Jellystone Park offer wifi, phone and cable TV hookups at sites? 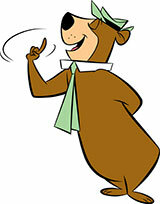 Who owns Yogi Bear's Jellystone Park & Camp-Resort? We do not have kennels on site. Please remember pets are not to be left unattended at any time and must be cleaned up after. While outside your camper or trailer, pets must be kept on a leash. Yes! Marvic Kennels on Middletown Rd. (green sign # 4014), Bradford, boards dogs and cats. You must provide the kennels with proof of vaccinations (yearly boosters for dogs and cats as well as bordatella for dogs). For more information please contact the kennels directly at: Phone (905) 775-2622. Yes. Canadas Wonderland provides an air-conditioned facility where guests may keep their pet (dogs and cats only) during their visit for a daily fee. For information call (905) 832-7000. We will be happy to extend your stay on request. Please speak with someone in the Ranger Station to make arrangements as soon as possible to help guarantee your site. In-season, office check-in time is between 2:00 p.m, and 10:30 p.m. Check-out time is 11:00 a.m., 8:30 a.m. to 11:00 a.m. for Habitats. If an earlier check-in or check-out is needed, please check with the Ranger Station for availability and possible extra charges. The Toronto city limit (Steeles Ave.) is approximately a 25-minute drive south from Jellystone Park on Hwy. 400. Downtown Toronto is approximately a 50-60 minute drive during non rush hour periods. There is a GO train and GO bus that travels to Toronto on weekdays, as well as weekends and holidays. Please visit www.gotransit.com for exact schedule times. YES, car rentals are available from National (905) 898-7997, Enterprise Rent-A-Car (905) 895-9722, and Budget (905) 898-6549. Please contact them directly to make arrangements. Yes, please refer to "How to Make a Reservation" under Rates & Reservation on our web site. Alcohol in moderation is allowed on your own site and in your own camping unit. It must be inconspicuous. 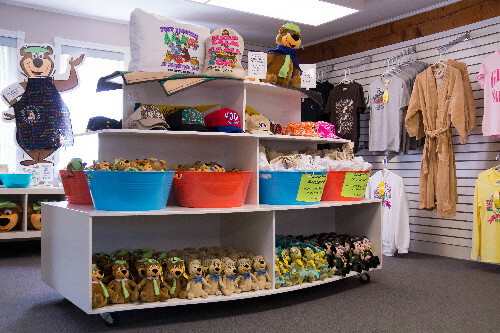 At Yogi Bear's Jellystone Park families come first. Anything that threatens great family memories, i.e., excessive noise, drunkenness, unsightliness, vandalism, rowdiness, obscenities, etc., will not be tolerated. All dates are currently available. Jellystone Park does not have any permanent or seasonal (all summer) sites; therefore all of our sites are available for overnight family camping. Reservations are encouraged to ensure that you get exactly the services you require, i.e., electric, water, sewer, and to speed up the check-in process, especially in the busy months of July and August and long weekends. Most sites at Yogi Bear's Jellystone Park have a tree, some larger than others. The amount of shade varies by the size of the tree, the position of the sun, and the time of day. Mother nature has provided us with many positives. Jellystone Park sits high and dry, providing views of the local countryside. There is generally a light breeze from the northwest, resulting in a noticeable absence of flying pests. Jellystone Park is not a forest or wilderness environment, nor is it a desert or parking lot. 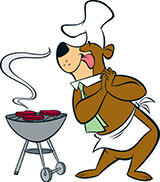 Yogi Bear's Park is located on 52 acres, bordered on the south by Simcoe Rd. 88, and to the east by Hwy. 400. The campground area itself sits high and over a hill, well back from the highway. You generally cannot see or hear the highway from most campsites. The administration building and our banners can be seen from the highway. There is usually a breeze from the northwest. Intrusive highway noise is limited, but of course there are exceptions. Yes! Bring your fishing pole - there is fishing in the Schomberg River and in Lake Simcoe, both of which are nearby. There are also local bait shops and boat launches. We are approximately a 20 minute drive southbound by car to the front entrance gate. 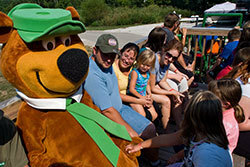 Yogi Bear's Jellystone Park is the closest campground to Wonderland, by time and distance. We usually have several student staff members who are bilingual. They are on duty at varying times. Yes! Jellystone Park recycles glass, tins, and cans. Beer bottles and cans purchased in Ontario are returnable. We encourage visitors to be environmentally responsible by compacting waste and limiting disposal to normal kitchen waste. We do not accept any other forms of trash, including cardboard boxes, tents, chairs, etc. Toronto North Campground & RV Resort Ltd. Enjoy your visit with us and feel free to contact us if you have any further questions!